Online now for toddlers to watch is a fun, free episode that shows five colors! In this 3D car cartoon, toddlers can learn FIVE colors! 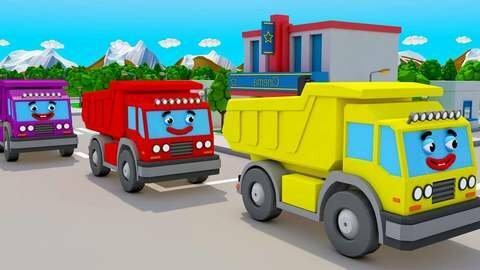 Watch red dump truck and his posse of dump trucks, including blue, green, yellow, and purple dump truck, as they work hard gathering colored blocks! SeeZisKids.com has this episode and more fun videos!